Her lodge as in a sanctuary! Some photos first appeared *here. * This was kind of fun to use the same photo in each card (and one that I had previously used) and fill in around it with odd and sundry photos. Some I had used and others that were just sitting waiting in my folder. I do love my Lacie (exterior hard drive). I love Monarchs! They migrate through here in October. It has been years since I have seen large groups passing through. Sure miss that sight. I'll be back tomorrow for the party. How beautiful! What a perfect poem to go with your cards! Lovely my friend! I'm happy to be linked! I look forward to this party all month! Sweet hugs! A mosaic card - what a great idea. Lovely photos and sentiments. 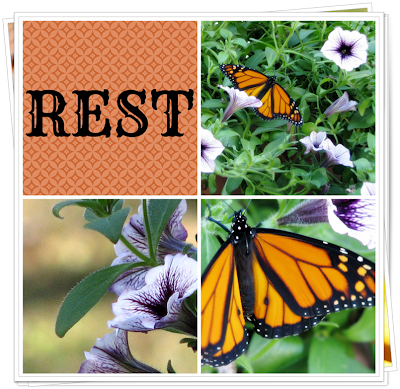 We all need a card that says "rest." I do love this party. Thanks for hosting, Vee. These are just beautiful notecards Vee! Wow. And the poem is perfect. I wish I could figure out how to layer the photos like there are several underneath. What app is that anyway?? And how do you put a word onto a page like in a scrapbook? I need to learn more about this. When you have time. :) Maybe you could do a tutorial? Great series of pictures. Thanks for hosting! I joined the party! Thanks so much for hosting such a fun event! Now I want to go buy a better camera!!!! Your photos are lovely and the words you highlighted work perfectly with the note cards. The poem is especially fitting! Pretty, pretty, pretty! I love how you've made collage cards. That poem fits so well, too. Oh, you are so creative! 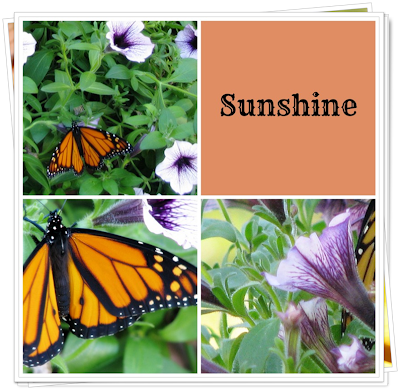 These are lovely note cards, accompanied by the perfect poem...so reflective of summer. Love them! I have just come in from several hours of gardening to find your note cards and they have made my day Vee. Coordinating words from the poem, which is lovely, makes each card special. 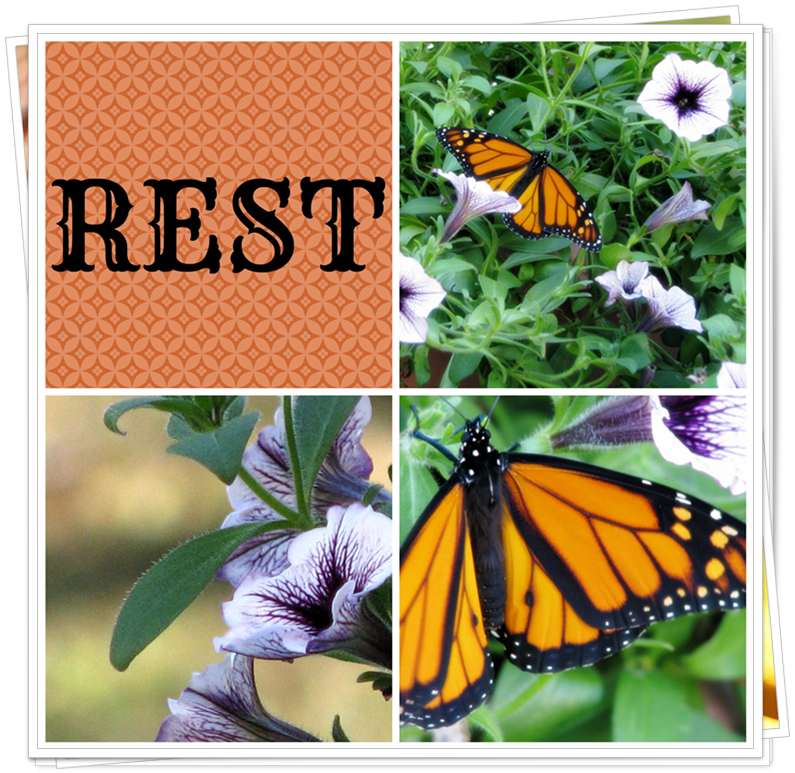 Great captures of the monarch, I hope we have more of the real thing next summer, but until then their beauty lives on in your cards. Vee, Your monarch collages are really special! You did a great job! Beautiful Vee! And, so creative indeed. I love your Monarch and the poem. Vee you make a great hostess. Always coming up with new ideas and giving us ideas. This post was great. Very creative and everyone gets a good feeling from seeing a photo of a butterfly. Vee, I love your postcards....one day I will join this nice party..when I learn how to do this..
Really nice set of notecards, Vee, and I like the repeat seen in each. And the poem! What a delight to visit today. Thanks for hosting again a most fun party that causes us to stretch the creative juices a bit! Oh my goodness I love this Vee! How creative and beautiful! Such a lovely poem to illustrate. I love butterflies and these photos/cards are so pretty, Vee. Glad to be able to join you ladies this week after all. ahhh, your cards are adorable. Vee! Somehow this month' note card party sneaked up on me!!! I've been busy, I hosted a prayer group in my home today, 7 ladies with lunch afterward. Hmmmm, I'll see what I can do! Lovely photos. Neat idea, Vee- and you captured those gorgeous butterflies perfectly. As always, sure look forward to this fun monthly party, thanks so much for hosting. Can't wait to check out everyone's cards this ti me! 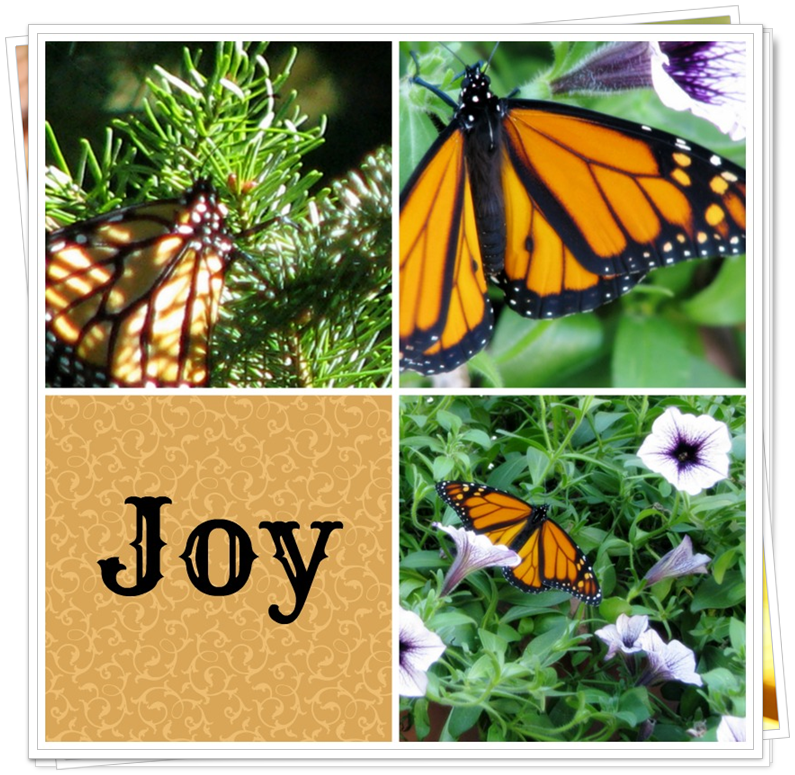 Beautiful...your Monarch notecards. I happen to like Monarchs...even have a car that is a monarch! 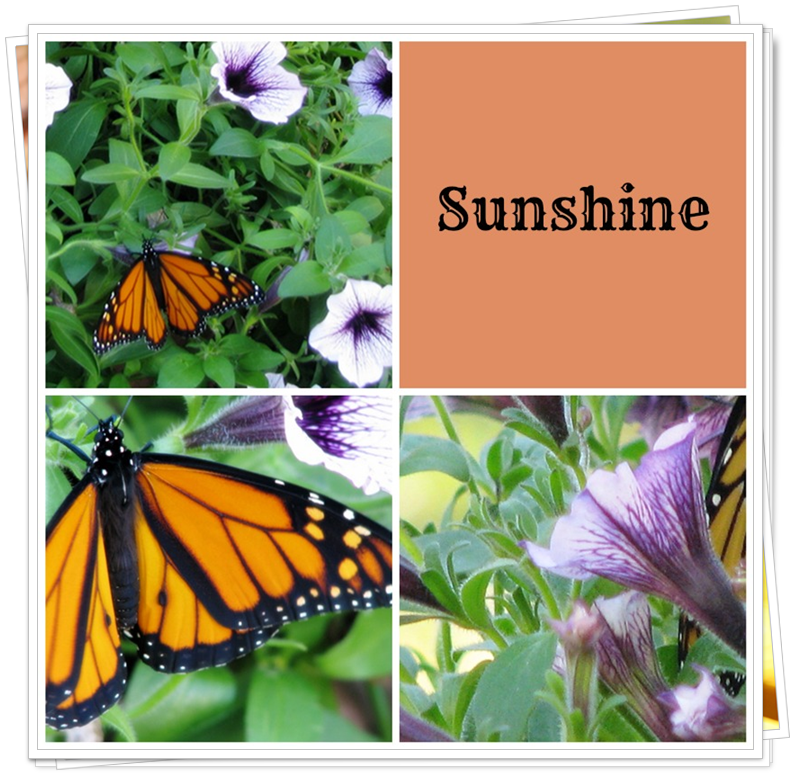 Beautiful Pictures- I love butterflies. Thanks for hosting the Note card party. These were so beautiful, Vee, and I love how you used the words. It's always a pleasure visiting your sweet place. I feel as if you could do photo fabric transfer of many of these blocks and make a quilt of it all! Lovely! Your collage note cards are lovely, Vee! Sweet poem, too. Thanks for hosting this fun party! Wonderful images to accompany William Wordsworth's ode to the butterfly - one I didn't learn at school! 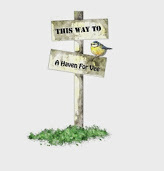 Your cards would make a lovely present as a set - did you need a business idea - I think not!!! However a lovely gift for a friend. Thank you for hosting again Vee. Vee, I love your cards! Perfect cards for encouragement! What a lovely set you have here, Vee! I'm delighted to be joining in the fun today! What a lovely poem. Your set of note cards are wonderful Vee. Thanks for hosting this fun party. 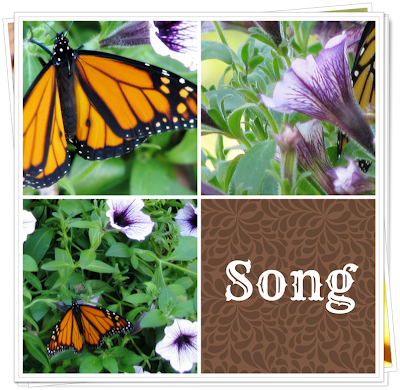 Vee, What a lovely poem and beautiful photos of the butterfly! Lovely note cards. Thanks for hosting Note Cards Party! These are wonderful! You are so creative, coming up with a collage for your note card party! I'm sorry that I didn't join in this month. Perhaps things will settle down enough for me to join in next month! I have two LaCie external drives and love, love, love them. What a most lovely post! 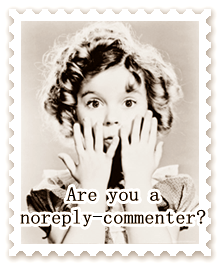 I have one ready to link up, but unless I remember the letters that go in front of my post link....i.e., http?? ?, I shan't be able to join! These are really pretty and so cheerful. I love the butterfly and the beautiful trumpet flower. I saw so many lovely cards, that I joined in, too! Hope it's okay. Love you beautiful butterfly and poem. What a great card collection! very nice!! I am off to see what I can find in my files and join the party! Thanks for hosting it again, I always look forward to it. November? Not going to be around in October? Lovely cards Vee - Wordsworth's poem is the perfect choice to accompany them. Something special about butterflies, quiet, peaceful, beautiful..........and they don't bite, LOL! I would definitely want a box of these! Thanks for hosting the party - a lot of fun. A Cool Maine Morning or What's for Breakfast?